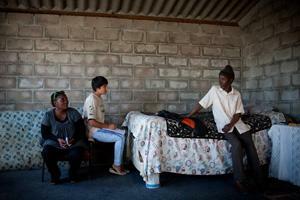 This volunteer human rights project aims to defend victims of human rights abuse in Cape Town, South Africa. South Africa has an infamous history of discrimination and segregation. With the end of Apartheid in 1994, South Africa began to establish democracy and an impressive Bill of Rights. However, many South Africans still in poverty suffer from human rights abuses and there is still a lot of work to be done. The Projects Abroad Human Rights Office (PAHO) is based in Cape Town, and helps to defend clients in court, provide education and petition the Government. This project is perfect for anyone considering voluntary work abroad or lawyers on a career break. You can contribute to the development of human rights in South Africa. How can volunteer human rights lawyers help in South Africa? How can volunteer lawyers help in South Africa? Taking instructions from clients and witnesses. Conducting a small caseload under the supervision of the Legal Services Coordinator. This could be in areas such as immigration or domestic violence. Working with the Head of Social Justice to run Human Rights workshops in the local community. To raise public awareness of human rights issues in South Africa and worldwide. To inform South African society on the legislation and human rights abuses. To monitor the rule of law and human rights in South Africa. To influence and support policy makers and implementation institutions about human rights issues. To actively take part in the global debate around international human rights and justice issues. Volunteers on this project work 8 hours per day, Monday to Friday. Your placement will be at the Projects Abroad Human Rights Office (PAHO) in Cape Town. This project runs all year round so you can join at any time. You decide how much time you can spare and we will help you get the most out of it. As a PRO volunteer you will also work alongside Projects Abroad volunteers who are not qualified - work at the office is distributed based on experience. You can request a copy of our most recent human rights report by emailing info@projects-abroad.co.uk. This will highlight the range of projects we are currently working on. "At PAHO we deal with all legal matters pertaining to the infringement of human rights and civil liberties. This means we have to represent clients at the Refugee Appeal Board if they are denied Refugee Status as well as the Magistrates Courts for an array of issues that come to us and preparing matters for both the Labor Courts and the Equality Court. This voluntary work abroad will help you gain experience of providing a legal service in the developing world. You will be able to share ideas with experienced South African lawyers and learn from their experiences. You will also be able to make a difference and contribute to the development of South African human rights. You will spend time in local communities, learning about a new culture and way of life. Staff and clients will want to hear about your life back home and your family and friends. We call this ‘cultural exchange’ and we think it helps our volunteers gain a new perspective on life. Safe accommodation with a South African family close to your project. A member of staff to meet you at the airport when you arrive. If you have completed at least a bachelors or postgraduate law degree then you are perfectly suited for this project. If you are interested in this project but don’t have the relevant experience, then please read about our regular Law & Human Rights project in South Africa.